Ahaziah is the son of Ahab and became the king of Israel in Samaria after Ahab died. He reigned for 2 years. King Jehoshaphat was the king of Judah. He was evil and followed his parents’ ways of worshipping Baal. Ahaziah was injured when he fell through the lattice of his upper room. He sent messengers to ask the idol Baal-Zebub if he would recover from his fall. But, God told Elijah to tell the messengers that he would surely die in the bed. 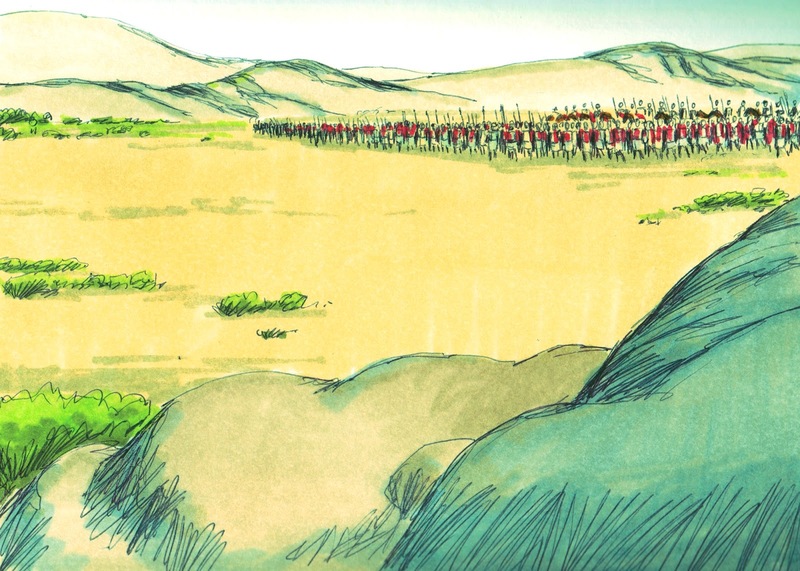 Ahaziah sent a captain with 50 men to look for Elijah when he heard the news. Elijah was sitting on the top of a hill and the captain told Elijah that “Man of God, the king said to come down.” Elijah said if he is a man of God, let fire from heaven come down and consume him and his men. A fire came from heaven and consumed them! King Ahaziah sent another captain with 50 men. The same thing happened! The third time the king sent his captain and 50 men, the captain fell on his knees before Elijah and pleaded with him to spare his life and the other men. The angel of God told Elijah to go with the men and he would be safe. Elijah told Ahaziah that because he sent men to ask the idol Baal-Zebub about his injury. Did he think God wasn’t in Israel to ask? Because of this, he would die. Which he did and because he didn’t have a son; Jehoram (his brother) became the next king. Joram is also called Jehoram. There was also a King Jehoram of Judah. This Jehoram was the son of Ahab and was a king for 12 years. He became the king of Israel in Samaria during King Jehoshaphat of Judah’s 18th year of reign. He was an evil king. 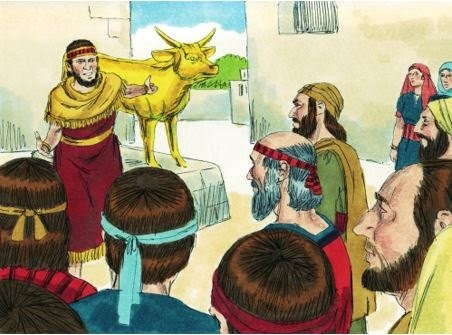 He didn’t worship the idols that his parents did; but, he worshipped the golden calf like Jeroboam did. When King Ahab died, King Mesha of Moab rebelled against Israel. He was a sheep breeder and had been paying the king of Israel 100,000 lambs and 100,000 rams regularly. King Joram left Samaria and gathered the people. He said the king of Moab is rebelling and asked who would fight with him? He also sent a message to King Jehoshaphat of Judah asking him to fight with him. Jehoshaphat agreed and they met in the Wilderness of Edom. The king of Edom met there also. They traveled for 7 days and began to worry because there wasn’t any water. The kings went to see Elisha so he could ask God about their situation. Elisha said the only reason he would speak to them was because of Jehoshaphat that worships God. Otherwise, he would let them ask their idols that they worship! God told Elisha to make the valley full of ditches. God said you won’t see wind or rain; but the valley will be filled with water to drink. They will win the battle against Moab. They needed to attack every fortified city, cut down the good trees, stop the spring waters and ruin the good land with rocks. Suddenly the next morning, the land was filled with water. The Moabites looked out over the land, the sun was shining and it looked like blood to them. They thought there was a battle and everyone had died. They went down to the camp of Israel expecting to take the loot. The people of Israel attacked the Moabites and killed them. They did everything God told them to. Later, Elisha sent a servant to anoint Jehu to be the next king. He conspired against Joram. King Joram had been in a battle with the Syrians and was in Jezreel recovering from wounds. When Joram saw the men coming, he sent a horseman out to see if they came in peace. But the horseman stayed with Jehu. Finally, Joram had his chariot made ready and King Joram of Israel and King Ahaziah of Judah went to meet with Jehu. Joram spoke with Jehu and when Joram turned around to talk to Ahaziah, Jehu drew back his bow and shot an arrow through his back and out of Joram’s heart. They put his body in the land that Ahab had stolen from Nathan. 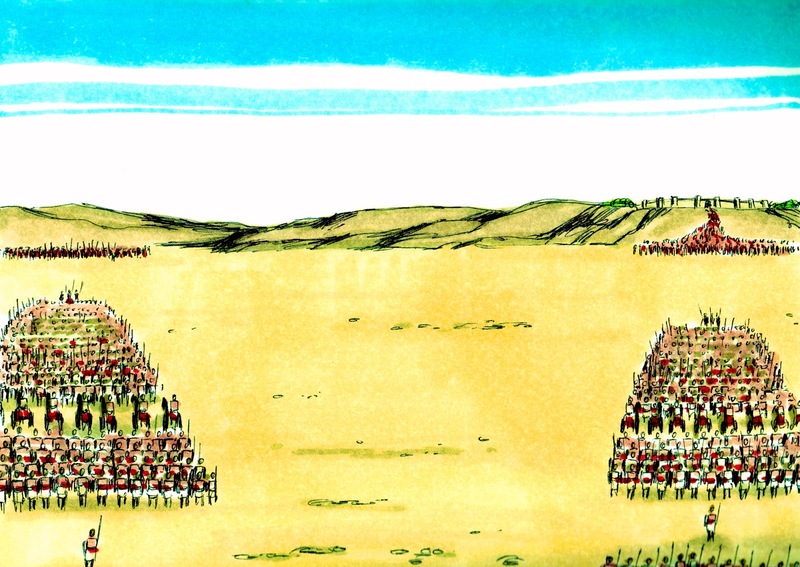 After Jehu became the king of Israel, he had all of Ahab’s sons (or princes totaled 70) killed. He even had Jezebel killed. He had everyone killed in Ahab’s house in Jezreel. Then he told all the people that he wanted to give a sacrifice to Baal. He wanted all the Baal worshippers to assemble with him for this. Everything was done to make this happen and he wanted everyone there. 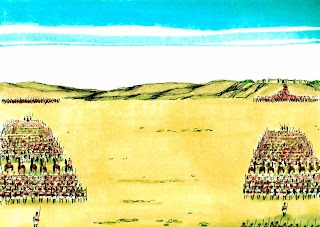 Jehu had 80 men on the outside and were told not to let anyone escape. Once the ceremony started, Jehu told his men to kill the people inside worshipping Baal. They went to the inner room and destroyed the pillars and temple of Baal and made it a garbage dump. But, Jehu still did not follow God’s laws. He worshipped the golden calves that Jeroboam had made. God was pleased that he destroyed Baal. But not happy that he worshipped the golden calves. So, God began to ‘cut off parts of Israel.’ They lost battles and they lost land. When Jehu died, his son Jehoahaz became the next king. Jehu was a king of Israel for 28 years. This pack includes the worksheets and posters (without logos) that they all have. This also has the visuals for these kings that are not included in the Kings Visual Pack and any posters created for these kings.